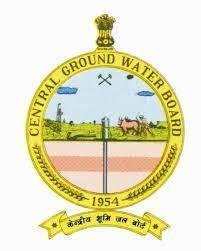 Central Ground Water Board (CGWB) has been Published Recruitment Notification for 31 Staff Car Driver Post 2017. Check below for more details like Age Limit, Educational Qualification, Selection Process and How to Apply are given below. Central Ground Water Board (CGWB) Recruitment for 31 Staff Car Driver Post 2017. Educational Qualification: Matriculation or Equivalent from recognized board and Two years working experience in Chemical Laboratory. Selection Process: Candidates Selection based an on Interview. How to Apply: Interested candidates may apply in prescribed Applications form along with attested copies of relevant documents & experience certificate sent to The Regional Director, Central Ground Water Board, West Central Region, Swamy Narayan College Building, Shahalam Tolnaka, Ahmedabad, 380022, Gujarat on or before 60 Days from the date of publication this Advertisement.